Proud to serve the areas of Calgary. Call or email us today for a personalized quote. I'm Jack Hunt. 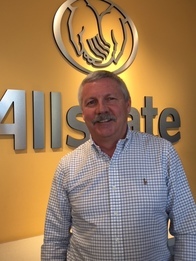 I started with Allstate in 1984 at the North Hill Sears retail location. I then transitioned to operate neighbourhood offices in Haysboro and Oakridge before becoming the Agency Manager of the Southland agency in 2008. I was born and raised in SW Calgary and enjoy supporting the Stamps and Flames as well as a day on the golf course. 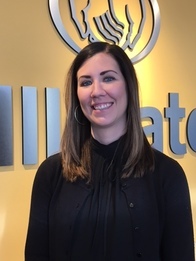 My name is Jill Hacker and I have been working with Allstate Insurance for 4 years. I started as the Agency Assistant and obtained my General Insurance Level 1 license, and transitioned to a Customer Care Agent after 2 years. Earlier this year I became a certified Customer Care Agent. I was born and raised in southern Alberta before moving to Calgary in 2011. 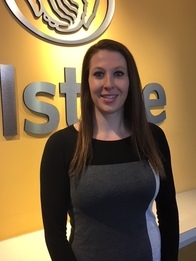 I am passionate about people and enjoy working in an environment where I have the opportunity to meet new customers and assist them with their insurance needs. My name is Shelley Godon and I have lived in Calgary all my life. I have been employed with Allstate Insurance since August 2008. 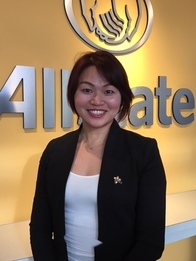 I joined Allstate as the Agency Assistant and quickly advanced into a role as a Customer Care Agent. During my time as an agent I have obtained the Customer Care Certification, and Senior Customer Care Agent designation. One of my main objectives is providing fast and efficient customer service while establishing good rapport with our clients. During my spare time I enjoy golfing both in Calgary and in Arizona, and being a grandma. Hi, my name is Natalie Harding. I’ve been an Allstate Customer Care Agent for 6 year. During that time I have completed the CCA Certification. I have an Applied Bachelor and Entrepreneurship in Sport and Recreation Degree from Mount Royal University. My interests include travelling, hockey, slo-pitch and the gym. I’m Kevin Huang. I’ve been an Allstate Agent for 3 years. I’ve been in the insurance industry for the past 10 years. My interests include travelling, basketball and networking. My experiences have provided me with the knowledge needed to serve my customers with the best quality, care and advice. I speak fluent English, French, Cantonese and Mandarin. My name is Emma Wei. I just joined the Allstate family recently in October this year. 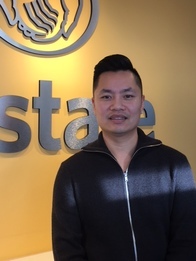 I originally came from China to Edmonton where I completed my Statistics degree at the University of Alberta in 2004, and I worked in a brokerage since 2009. I moved to Calgary in 2015 and just had my son in October 2016. I am a real foodie so I love to try new food and restaurants whenever I can, I also like reading, watching TV drama and shows and travelling. My experience in the insurance industry and my background have provided me with the knowledge needed to serve my customers with the best quality, care and advice. 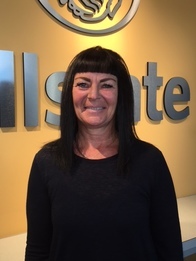 Hi, my name is Tracy Campbell and I’m a Business Development Agent here at Allstate for the last 2 years. Before becoming an insurance agent I worked as a travel agent for the past 8 years. My overall experience working in the sales industry for the past 15 years has given me the opportunity to meet many different people which is really important to me because I consider myself to be a real people person. I love to travel and my husband and I make it a goal to try and visit 2 new places each year. My other interests include music, dancing, movies, and sports. My name is Dean Peverett and I’m a Senior Business Development Agent with Allstate, where I’ve been working for over five years now. Prior to entering the insurance world, I was a Mortgage broker for over 10 years. 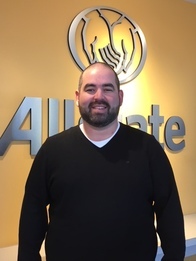 I enjoy being a part of Allstate, in particular the agency I work in, where we have a strong and successful team - one in which we strive to meet and exceed our customer expectations on a regular basis. I am happily married with 3 beautiful daughters, and my passions include all things sports, along with travelling, and spending quality time with my family. I’ve lived in various places across the world, including the U.S. and Hong Kong, however I’ve spent most of my life here, and I am happy to call myself a Calgarian. 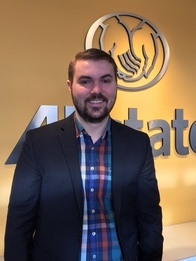 My name is Andrew MacDonald and I’ve been with Allstate Insurance for 6 months. I hold a Bachelor of Business degree as well as a Master’s degree in Financial Economics. Although I’m new to Allstate, I have been in the industry for 3 years since finishing school. 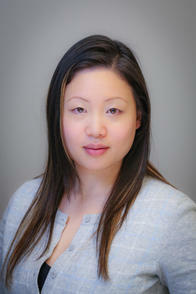 My industry experience alllows me to focus on my customers’ needs to provide the best and timely insurance solutions. In my spare time I like playing soccer, basketball, skiing, and board games. Hi, my given name is Wesley McLeod but everybody calls me Wes. I’ve been a licensed Allstate Business Development Agent for less than a year. My most recent previous employment history was as a Professional Golfer through the PGA of Canada. My interests include all sports both playing and watching my favourites; golf, baseball and hockey. I aenjoy listening to music and I also enjoy the great outdoors whether it’s camping or on a beach. I am confident that both my personal and business experiences have provided me the skills and traits to ensure that my customers are in good hands. My name is Cherry Zhu. I have been working in the insurance industry for over 14 years. 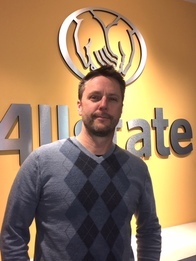 I began working with Allstate Insurance in the Spring of 2016. What I love most about my job is having the opportunity to meet new people and learn about their lives, and help them to find their insurance needs. I speak English, Mandarin, and Cantonese which is very helpful when it comes to meeting new people. I consider myself to be very outgoing and spontaneous. My personal interests include trying new foods, dancing, sports and spending time with my husband and my son. 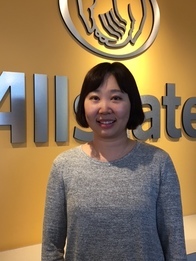 We at the Allstate agency in Calgary have a passion for serving customers and giving back in our communities, we've been serving the community since August 2008 and Allstate has been servicing Canadians for over 65 years.